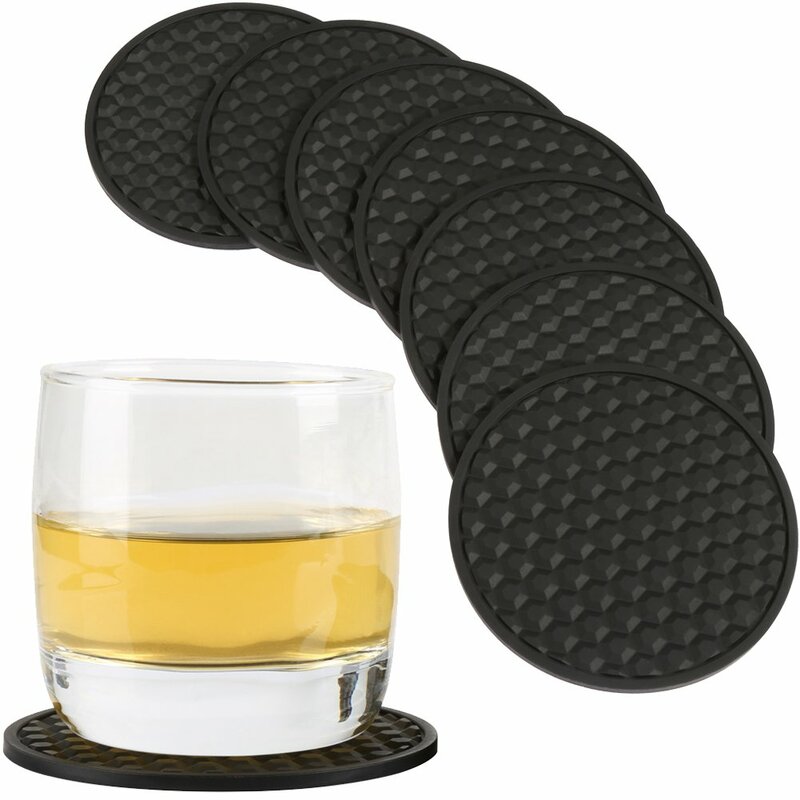 Home › Home and Kitchen › Happydavid Silicone Round Placemat Drink Cup Coasters Set Of 8 Piece For Fine..
Happydavid Silicone Round Placemat Drink Cup Coasters Set Of 8 Piece For Fine..
Color:Black Black Drink Round Placemat Cup Coasters With Elegent Dots ShapesTo Protect Your Fine Furniture and Table Surfaces! Included 8-Pack CupCoasters Size:9x9x0.3cm Top 3 Reasons of Why you need Your Drink Coasters1:Get Sick of the dirty and ugly drink rings on your beautiful coffee table2:Trying to make your dining set looks more elegant 3:Trying to protect yourpretty table surfaceform the damage of heavy drinking glasses DetailedIntroduction Cup mat can be very helpful to ensure you a flat surface of yourdeck furniture .they can be used anywhere like Kitchen counter tops, diningroom tables, coffee tables which made of stone, tile, bamboo, wooden etc.Classic black color or brown matches any decor, can m make your dining roomlooks with high grade Small dots shapes allow the condensation to gather onthe cup mat instead of your table surface! Silicone material are notabsorbent,so they will not retain spill smells or stains ,also they preventdrink rings perfectly so long as the liquid doesn't get past thecoaster,,besides, it's easy to clear, you can clean them in your dishwasherwith your regular dish load. Relatively thick and silicone soft surface arefantastic for helping to cushion your surfaces from those with clumsy hands.Do you want to prevent water damage to your table tops, countertops, and anyother surface you need to protect from drink condensation. choose cupmat,choose us, choose the best! Inventory is frequently low due to the briskdemand, If you don't want to miss it,please order them now CLICK the "Add toCart" button at the top of the page to place the order! Opportunity knocks butonce!